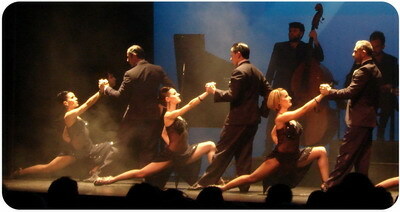 Esquina Homero Manzi traditional Tango Show in the most Porteño neighborhood of Buenos Aires, where classic tango is danced, typical dishes are served and the audience is local. 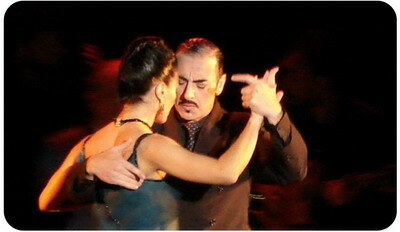 The Tango show Homero Manzi is in one of the cradles of the Tango: There used to stop the composer Homero Manzi, creator of several tangos, including Sur, one of the three most popular tangos in history. The food is the perfect sample of what an Argentine family does in a restaurant on a Sunday noon: simple and Porteño, I mean this is what one wants to eat when visiting another country: what the locals eat when they are enjoying the food. The welcome is with a glass of sherry and fried beef empanaditas. The entrees themselves are very classic like matambre and meat pies. 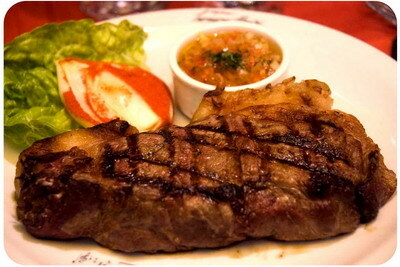 The main dish may be chicken or pasta, but the prefered one is the classic chorizo steak, abundant and very well done. For dessert, the star of the house: the most typical flan Homer.